Coming in March this year, the makers of the outstanding fan film “Chance Encounter” are set to embark on the mission of creating a new fan film called “The Holy Core”, although not much is know about this new film at present, after watching “Chance Encounter” we are sure you will not be disappointed. Very good to hear from you! 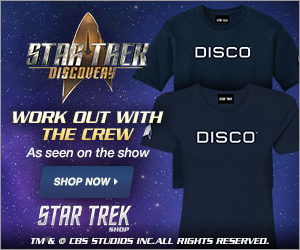 I’m doing well thanks, excited about our new film… I hope all is well with you over in the Treksphere too! We’ve been developing the story for The Holy Core since around June 2017. As always with writing, it has developed and changed a lot over that time, but we’ve had the story fully mapped out for several months now, and we are currently working on the 3rd draft of the script. My co-writer Paul and I are both very excited about how it’s developing. We’re really hoping our crowdfunding in March will be successful so that we can take it from script to screen! This time around our story has a lot more “Star Trek” themes running through it. We are really proud of our last film, Chance Encounter and delighted that it has been so warmly received. However Chance Encounter was essentially a love story, but (with a few exceptions) love stories aren’t really what springs to mind when you think of Star Trek. 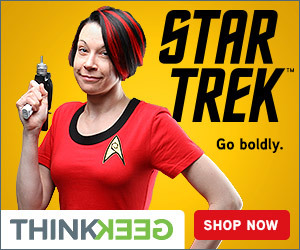 As such, The Holy Core is in much more traditional Trek territory. We touch on several themes, such as scientific pursuit, religion, sacrifice, and romance. As I say we’re really excited with the story we have written! More information will be available when we launch our crowdfunding drive in March. Stay tuned!